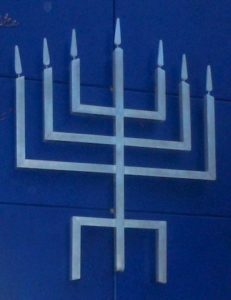 Temple Beth El is a Reform Jewish synagogue, affiliated with the Union for Reform Judaism. The Reform Movement in America began when Rabbi Isaac Mayer Wise introduced Reform Judaism to the United States in 1846. He brought with him a new Jewish orientation emerging in Central and Western Europe to reforming Judaism—that is, introducing modifications to make Judaism relevant and meaningful in an emerging modern society. The early Reformers were the Jewish theological innovators of their generation. The synagogue—one of Judaism’s most ancient institutions—continues to provide for the spiritual, communal and educational needs of every generation of Jews. We also strive to build in our congregation a community and a family for our membership. We are an inclusive congregation, reflecting the diversity of the American Jewish community. Those who choose to make our synagogue a part of their lives will find themselves welcomed by fellow congregants, and inspired and enriched by our shared Jewish life. We invite you to explore our website and to visit us in person to learn more about our congregation. Additional information on Reform Judaism can be found on the website of the Union of Reform Judaism.